ThelemaCon Scheduled for Minneapolis This October – Zero Equals Two! “Announcing ThelemaCon! 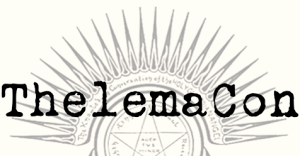 A Symposium on Thelemic Magick and Mysticism. October 11-13, 2019 e.v. in Minneapolis, Minnesota. Registration, hotel information, and more details may be found on our website at http://thelemacon.org. “We have assembled a stellar team of speakers for this conference, including David Shoemaker, Lon Milo DuQuette, Andrew Ferrell, Lauren Gardner, Joshua Gadbois and Harper Feist. 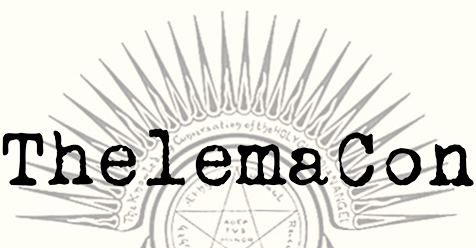 Among the speaker team, we have over a hundred years of practice, study and contemplation of topics related to Thelema. “Our focus is on Thelemic principles, lived daily. As such, our workshops and lectures will be focused on applied subjects near and dear to a practicing magicians’ heart – personal practice, breathing, meditation, temple skills. Further, this meeting presents an opportunity for fellowship with other people following this path. We intend to present an inspirational, friendly and useful curriculum. –Have You “Transcended Reason”? Or Have You Just Gone Crazy? “The conference will be held October 11-13, 2019 in Minneapolis, Minnesota. There will be an informal meet-and-greet on Friday evening, and programming for all of Saturday (morning and afternoon) and Sunday morning. Saturday night’s reception will offer another opportunity to to share impressions of the day and to get to know your fellow attendees. “Registration: $99 for the full weekend. See our website for the payment link, or pay directly via Paypal to payments@thelemacon.org. Be sure to include a current email address so we can keep you updated with details about the conference.